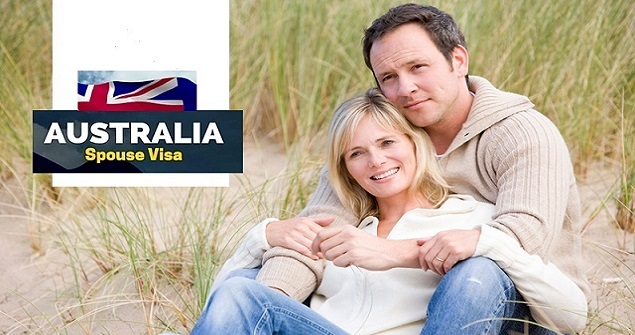 How to Get Spouse Visa Australia. If you are relocating to Australia and want to bring your spouse with you, you will need to get a Spouse Visa Australia. This will enable you to bring your husband or wife into the country; however you will need to know the eligibility criteria and the application process. In order to be eligible to apply for a spouse visa for Australia, the applicant must be married to an Australian citizen, an eligible New Zealand citizen or an Australian permanent resident. It is also possible to apply for a spouse visa if you have been in a common law relationship with your partner for a period of 12 months or longer. It is the applicant's responsibility to prove that they are in a committed relationship and that they intend to continue living as a couple in Australia. Usually, both partners need to be aged over 18 years and there are also health and character requirements which must be met in order for the application to be successful. The initial stage application, if successful, will award a temporary spouse visa with the resident partner acting as sponsor for a period of two years. After this time, it is possible to apply for a permanent spouse visa if the relationship is still valid. Those whose partner has died in those two years are still eligible to apply for a permanent visa as are those who have been victims of domestic violence or who have dependent children even though their relationship has broken down. In some circumstances, you may not have to wait for a full two year period to apply for permanent residence. These circumstances include couples who have been married for more than 5 years at the time of application, couples who have been together for over 2 years and have dependent children to the relationship or cases where the spouse has been granted a visa under a humanitarian program and was already in a relationship with the applicant at the time that that visa was granted. What Does The Spouse Visa Permit? If you are awarded an Australian spouse visa, you will be entitled to remain in the country until the Australian government makes a decision about whether or not you can stay permanently in the country. During this time, you are permitted to find employment or study in the country, although there is no access to any public funding in order to pay for education. Those who are granted a temporary spouse visa are also entitled to enroll in the Australian health scheme, Medicare. Once a permanent spouse visa has been issued, this entitles the holder to stay in the country on an indefinite basis and to work and study freely. This visa also enables the holder to apply for Australian citizenship and to act as a sponsor for any relatives who wish to enter the country under the visa scheme. It is also possible that holders of this visa type may be eligible for some social security benefits. You will need to submit an application, either in paper format or online and supply the relevant fee. You will also need to supply your valid passport or other similar travel document. You may also be required to submit paperwork that documents evidence that you have been living with your partner for at least 12 months as well as submitting to essential medical screening and police clearance procedures.